This beautiful hardback Ladybird Classic edition of A Christmas Carol by Charles Dickens is a perfect first illustrated introduction to the classic Christmas story for younger readers. 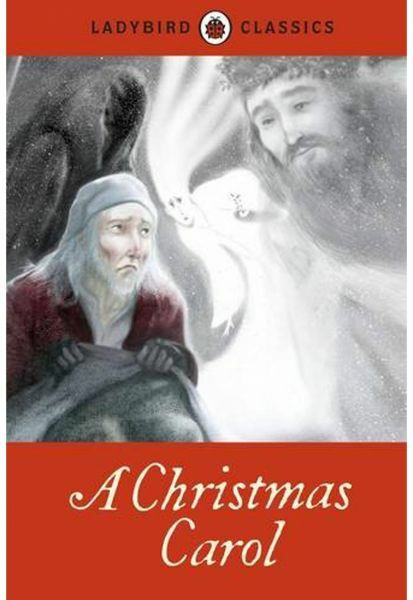 It has been sensitively abridged and retold to make it suitable for sharing with young children from 5+, whilst retaining all the key parts of the story including the three spirits of Christmas Past, Present and Future, little Tiny Tim and his father, Bob Cratchit and, of course, the old miser Ebenezer Scrooge. Detailed full-colour illustrations throughout also help to bring this classic tale to life. Other exciting titles in the Ladybird Classics series include Alice in Wonderland, Black Beauty, Gulliver's Travels, The Secret Garden, Oliver Twist, Peter Pan and Treasure Island.